Some teach that if you love God and do everything He says, then your life will be filled with nothing but good things. Nothing is further from the truth. Jesus lived a perfect life and suffered greatly. Jesus told us, “In the world you will have trouble, but take heart I have overcome the world,” John 16:33. Today, I wanted to talk about another person who suffered, Job. “Job was a wealthy man living in a land called Uz with his large family and extensive flocks. He is “blameless” and “upright,” always careful to avoid doing evil (1:1). One day, Satan (“the Adversary”) appears before God in heaven. God boasts to Satan about Job’s goodness, but Satan argues that Job is only good because God has blessed him abundantly. Satan challenges God that, if given permission to punish the man, Job will turn and curse God. God allows Satan to torment Job to test this bold claim, but he forbids Satan to take Job’s life in the process,” Spark Notes. My pastor friend told me that going through trials is a compliment, a sign that God trusts you. I thought to myself, “God can You trust me less.” I can relate to Job. Can you? Maybe we haven’t had the exact same experiences of losing children, a spouse, our health, or all our belongings all at the same time. I am certain that we have all had our faith tested in some way. If we haven’t, then eventually we will. The brief summary above tells us something about Job. He was not afflicted because he had done evil in the eyes of God. He was afflicted because the enemy wanted to prove that Job would turn away from God. He was well respected and honored by God. I love that God was boasting about Job in heaven. How great is it that Abba boasts about us? It does not matter if other people boast about you. What matters is what God is saying about you in heaven. To the people around you, even your friends and family, you may appear to be weak, sinful, and a mess. But in the eyes of God, you are more than precious. Job’s friends did not understand; his wife did not understand, but God did! God knows right where you are. He knows what is breaking your heart. He is boasting of your faithfulness in the heavens. Job did not curse God, and he received double for what he lost. Whatever happens to you, don’t lose faith in the goodness of God. You may have to cry it out, scream it out, counsel it out, but don’t lose faith in God. He is cheering for you! He will heal and restore you. He will never leave or forsake you. Dig in deep with Him. One thing I can promise, God is more than faithful. From the time Erin Lamb was a child, she was curious about God. She grew up in a home with a pastor and Sunday school teacher, which made knowing God a part of everyday life. More than reading about Him, her heart longed to know Him personally. 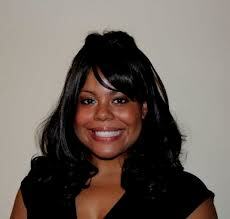 Along this journey, she picked up a pen and paper and began to write about her experiences with God and His responses. 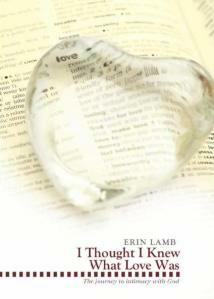 I Thought I Knew What Love Was is a book for every person who wants to plunge deeper into the heart of God. If circumstances or life have made God seem distant or cold, the words on these pages will lure your heart on a journey with the God of the high and low places. Understanding the depths of God’s love during the good and the challenging times is essential to living a joy-filled life. Erin has captured the heart of God through prayers, sonnets, and poems that reveal the human experience in relation to God. If you have ever felt as though God doesn’t understand you, then poems like “Agape” “Even If” and “Our Deepest Need” will reveal God’s unfailing love for you. Whether you find yourself in the difficult places, or on the mountaintop, your heart and mind will be drawn to a more intimate place where you commune with God.